I realized an important truth recently--I have been hopelessly spoiled for the past sixteen years. I did not have a copy limit in my school system. It took moving to a school system with a strict copy limit for me to realize the unabashed luxury of my former situation. I call this an important truth because overindulgence, and well, waste are often byproducts of luxury and being spoiled rotten. I hated making copies, but I never truly tried to conserve them. I've written a lot about going 1:1 and blending my classroom, but I would sometimes make copies because they were there and it was easy. Now I truly have to live up to my own advice, "If paper works best, use it. But all things being equal, choose digital." 1. All you need is to have your worksheet in PDF format. You can do that with phone apps that enable you to take a picture of a sheet of paper, save it as a PDF, and email it to yourself. 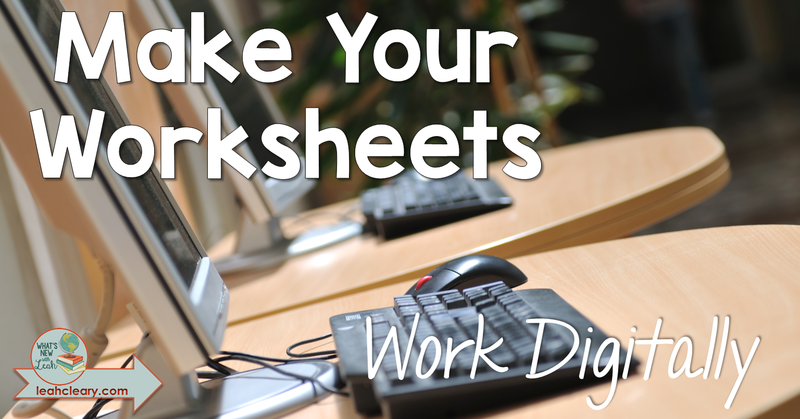 You can also do this by scanning your worksheet. Most school copiers these days also have a feature that enables you to scan a worksheet and send it to your email as a PDF. 2. Once your worksheet is in PDF format, you will need to visit the Google Chrome Store and pick up the free DocHub app. Have your students add DocHub to their Chome accounts, as well. 3. Assign your students the worksheet via email or an online platform (if you use Google Classroom, make sure to select "make a copy for each student," they will open the PDF in Classroom with DocHub). 4. With DocHub, students can write, draw, and insert images onto a PDF. They can save it, and share it with you. As a side note, if you are using a PDF with fillable text boxes, they can use the text boxes for typing, but if there is a button on the PDF to insert an image, that won't work. No worries, though. They can insert an image in DocHub from the toolbar. 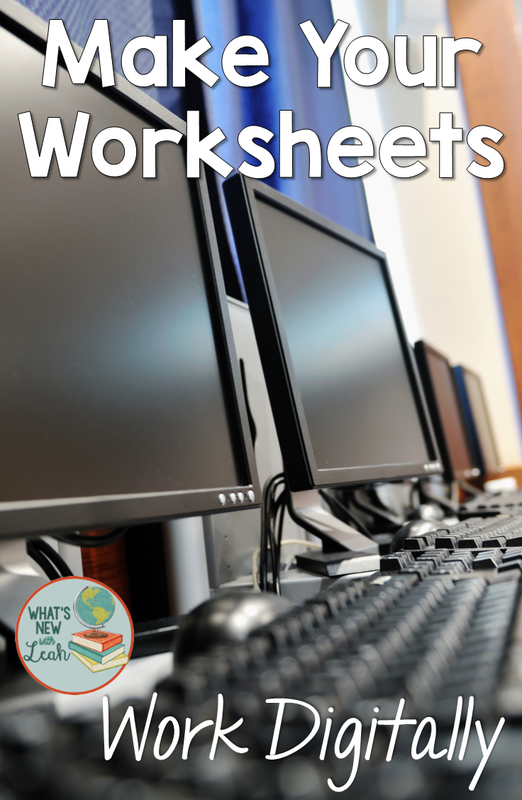 Don't forget to download the Cheat Sheet! You are welcome, Fabiola! I hope you get tons of use out of it! Just read this-so excited to try it out! Thank you so much for creating easy, relevant resources for secondary teachers! I love learning about DocHub! What a time saver. Thank you, Leah.